This cranberry cocktail is a swirl of favorite flavors: maple syrup, brown sugar, vanilla, and red wine. Serve it with a stirrer beaded with poached cranberries. Our Santa clip art is affixed to a sphere of honeycomb paper and topped with his signature hat. Download Santa Swizzle Sticks Clip Art for the festive touch! With cooked cranberries sweetened with maple syrup and lightly flavored with lemon zest and vanilla beans form the base of this wine-and-seltzer cocktail. In a medium saucepan, combine the juice, cinnamon stick, and cloves and bring to a boil. Reduce the heat and simmer. Meanwhile, in a small saucepan, combine the cranberries, sugar, ground cinnamon, and 2 tablespoons of water and heat over medium-low heat, gently stirring, until the cranberries pop and are well coated with the sugar mixture. 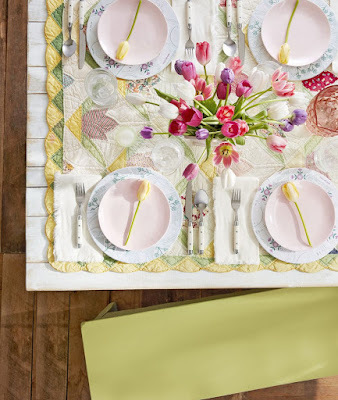 When cool enough to handle, thread 3 to 4 berries each on 4 decorative toothpicks or skewers. 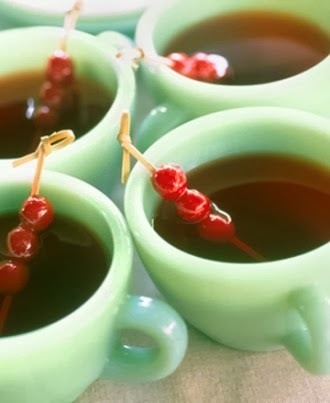 Pour the mulled cranberry juice among 4 mugs and garnish with the cranberry swizzle. 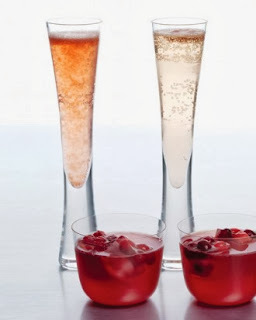 Raise a glass and make a toast with sparkling wine drinks, including sparkling pear and cranberry cocktails, red currant-Champagne cocktails, and Kir royales. This cocktail is made with icy Moscato d'Asti, which is sweeter than champagne but much lighter than the rich dessert wine also made from Italian moscato grapes. 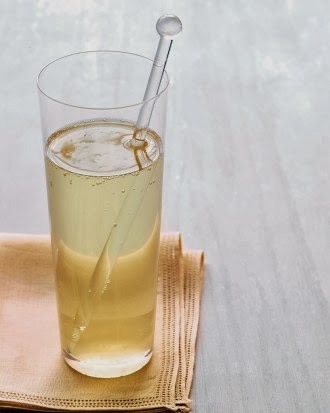 Just the right medium for this fizzy drink, it adds flavor to the silky pear and tart cranberries. 95 calories; 0 g protein; 0 g fat; 6 g carb; 0 g fiber. Put cranberries in a small bowl; add 2 tablespoons warm water. Soak until cool, about 15 minutes. Drain, pat dry, and refrigerate until serving. Divide pear nectar evenly among eight tall champagne glasses. Add cranberries, and then gently pour the Moscato d'Asti into the glasses. 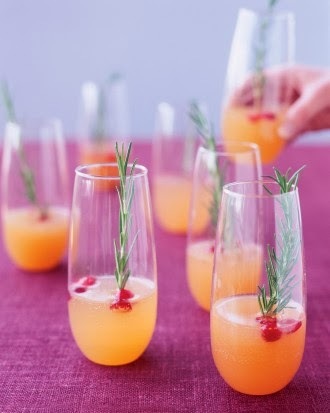 Garnish each with a rosemary sprig. In this traditional eggnog recipe, egg yolks are beaten with sugar, cream, bourbon, rum, and Cognac, and refrigerated for up to a day. Just before serving, beaten egg whites and whipped cream are folded in, while a sprinkle of nutmeg adds a fragrant finishing touch. 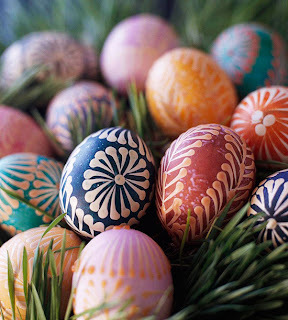 Cook's Note: The egg yolks and whites in this recipe are not cooked. This dish should not be prepared for pregnant women, the elderly, or anyone whose health is compromised. Set a fine-mesh sieve over a small bowl; set aside. In a small saucepan, boil ginger, sugar, and 1/4 cup water until syrupy, about 2 minutes. Pour through sieve into bowl, discarding solids. 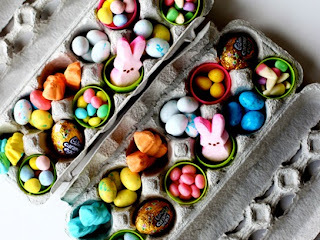 (To store syrup, refrigerate in an airtight container, up to 1 week.) 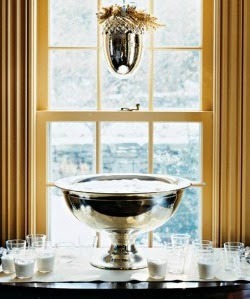 Pour 1 tablespoon syrup into each of 8 tall glasses. Top with sparkling wine, and gently stir. In a medium saucepan over medium-high heat, dissolve sugar into 1 1/2 cups water. Add cranberries and simmer for 5 minutes, or until softened. Remove from heat and let cool. Strain, discard liquid, and place cranberries on a tray in the freezer for at least 2 hours. Chill vodka, Champagne, and juices, then mix in a champagne glass. 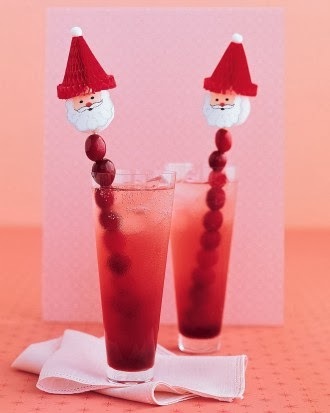 Garnish with skewer of 4 or 5 frozen candied cranberries. 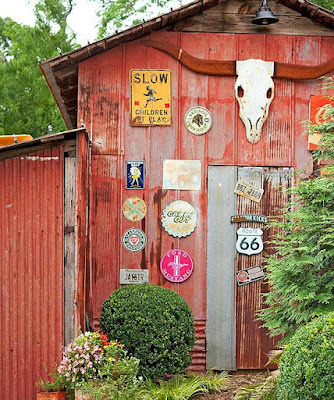 Reserve the rest for another drink. Place kumquats in a large saucepan. Cover with cold water. Bring to a boil. Drain immediately. 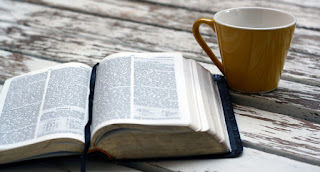 Repeat twice. Add sugar and 2 cups water to drained kumquats in saucepan. Bring to a boil. Remove from heat immediately, and let kumquats and syrup cool completely. 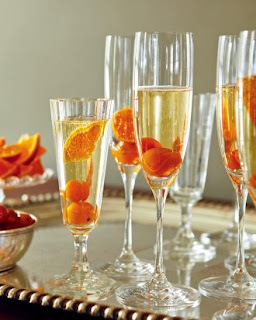 Spoon 3 kumquats and 1 tablespoon syrup into each of 12 Champagne glasses. 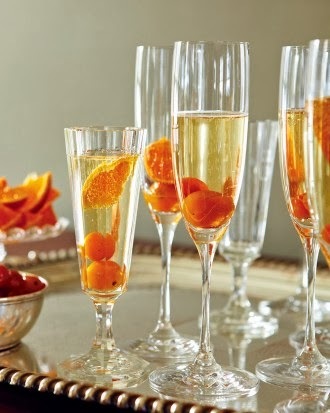 Top off with Champagne, and garnish with tangerine wedges. Kids and alcohol-abstaining adults alike will enjoy the sweet cherry flavor of this simple mocktail, reminiscent of a Shirley Temple. Place 2 cups water in a medium saucepan, and bring to a boil over medium-high heat. 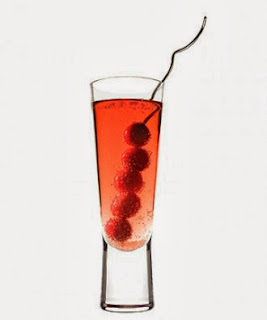 Add grenadine; stir to combine. Pour mixture into two ice-cube trays. Freeze until solid, 2 hours or overnight. 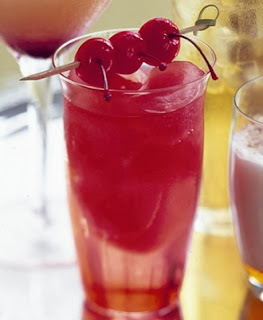 Fill six glasses with grenadine ice cubes. Top with soda. Garnish with cherries, and serve. In the 17th century, employees of the British East India Company discovered punch, a beguiling combination of spirits, water, lemon, sugar, and spices that became synonymous with good cheer and festive celebrations all over Europe. 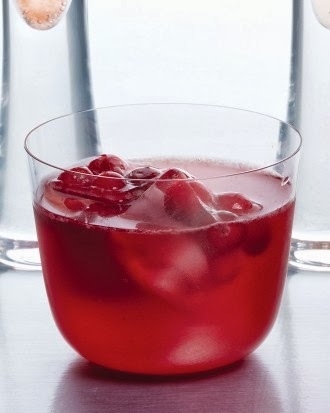 Here, pomegranate and lemon sharpen the sunny New World flavor of cranberries in this vodka-and-Cointreau-based punch. Bring a taste of the tropics to your Christmas celebration with a coconut-flavored pina colada. With the rum omitted, this drink is a perfect holiday treat for children.